There’s no better way to spend your weekend mornings than enjoying a delicious brunch with friends or families. Designed as a boozy combination between breakfast and lunch, brunch started becoming popular in the US in the 1930s. Now brunch is a weekend staple, especially in Columbus where the options for amazing brunch are endless. With so many options to choose from narrowing down where to eat can be the hardest part. 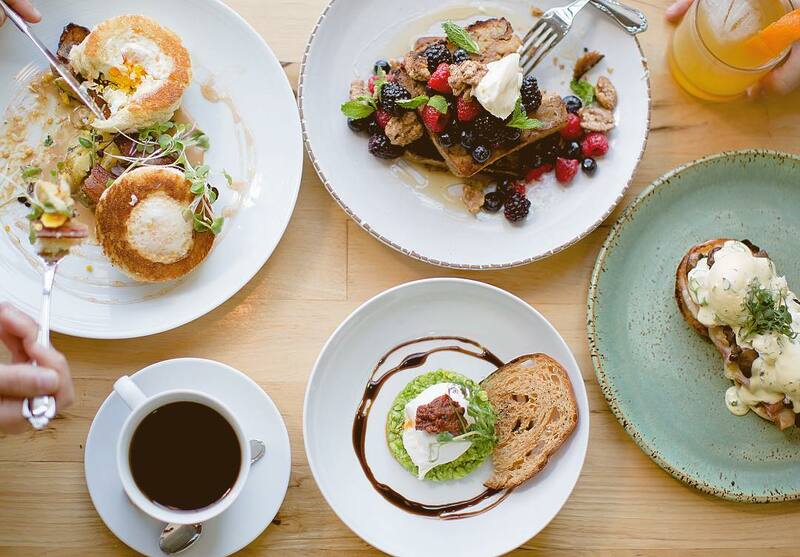 That’s why we’ve curated a list of the Top 15 brunch spots in the Columbus area. 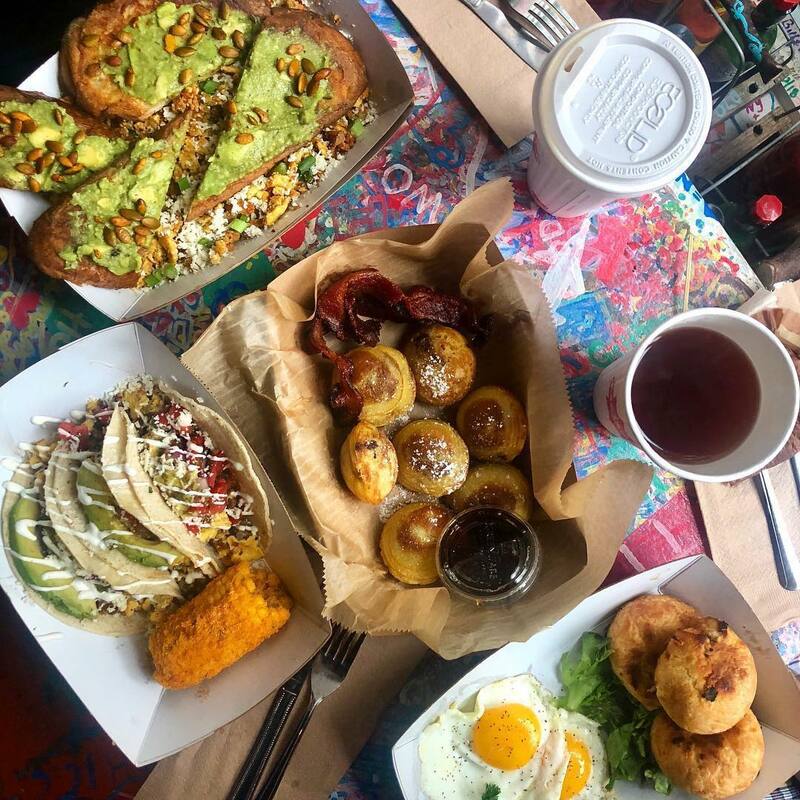 We’ve even mapped them out by neighborhood for you, because we know having a clutch brunch spot nearby is definitely a deciding factor on what neighborhood to move to in Columbus. Blunch is not only becoming the go-to brunch spot in Columbus, with lines to prove it, they’re also reinventing the phrasing br-unch to b-lunch. 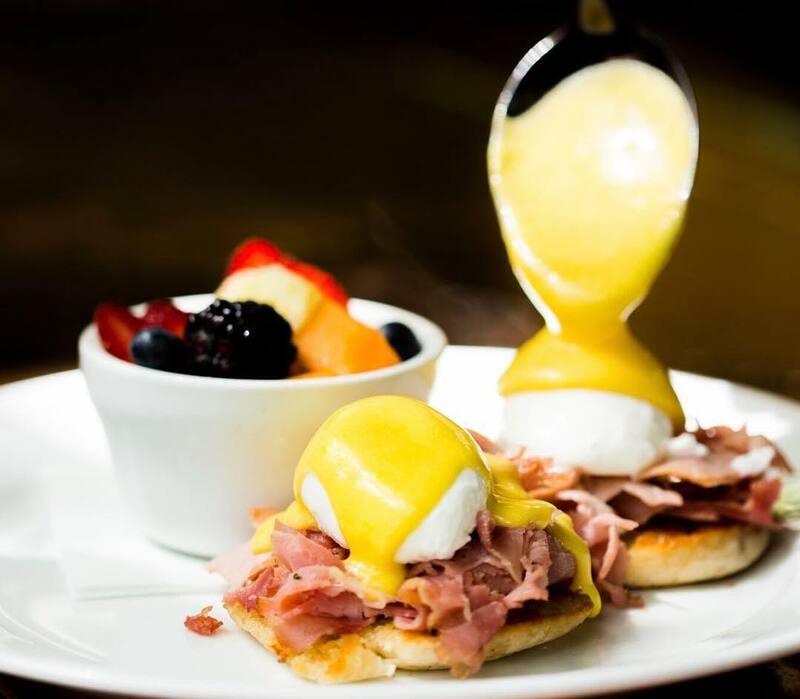 They offer all the standard brunch fare from several eggs benedict options, pancakes (try the flight for a selection of speciality offering), and sandwiches plus their famous zeppoles and a plethora of bubbly cocktails (or Bloody Maries for something a little stronger!). Don’t take our word for it, Blunch’s Yelp is beaming with 5 star reviews. Trust us, once you visit you’ll be “blunching” every weekend! If you’re seeking a quirky “hip” brunch, look no further than Katalina’s Cafe. Located in a 100 year old gas station near central Columbus in Harrison West, the cafe is famous for their pancake balls that people line up for miles to consume. How can you go wrong with made-from-scratch goodies with a Latin-leaning/ Southern flair menu? 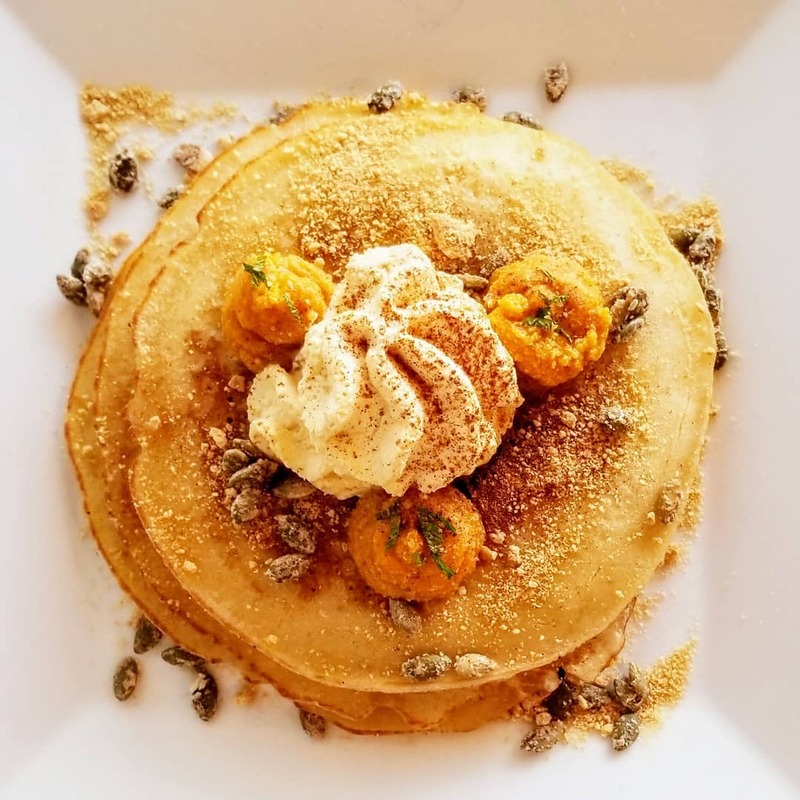 You can pair your pancake balls with brunch favorites like avocado toast finished with a dash of North Market Spices Magnolia Fennel-Olive Sea Salt & pepitas, or indulge in the Award-Winning Breakfast Tacos. “Came for the pancake balls, gonna continue to come for the pancake balls. this is one of those restaurants that lives up to its hype....we split the Huge! Sunrise Sammy, dulce de leche pancake balls, a bag of chips, and their version of street corn. Pancake balls? Revolutionary in concept, delicious in execution. maple syrup included but not required. Dulce de leche was delicious, as is their Nutella flavor. Hoping to try the apple butter next time. #pancakeballs"
If you’re seeking a particularly boozy brunch Wolf’s Ridge Brewing is the spot for you. Patrons rave over the atmosphere, classy but casual, open and bright. They play up the brewery on the brunch cocktail menu, with options like the Beermosa and a Bloody Maria with Tequila, Scotch, and beer. Enjoy unique treats like Poutine with duck confit and mole lamb, or try some brunch standards with an elegant touch like french toast with cinnamon bread pudding and chantilly or pig cheek hash. “The hardest part was picking what I wanted to eat. Everything looked so good. I ended up picking the french toast and HIGHLY RECOMMEND. It was all I could ever want and more. The donuts are also delicious. If you’re in the mood for rustic food and craft beer, 101 Beer Kitchen in Dublin is your next brunch spot. 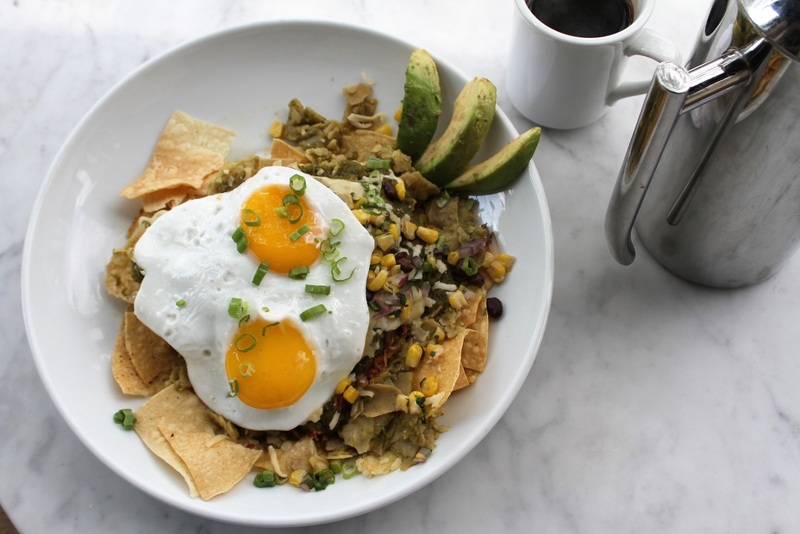 In addition to a well curated beer selection, the brunch menu leans on the “unch” dishes including Butternut Squash Perogies and Huevo Ranchero Pizza, with some breakfast staples like Pineapple Upside Down Pancakes, breakfast burritos and corn beef hash. Brunch Entrees range from $10-$14, making this an affordable option as well! “This is by far my new spot for brunch in Columbus! First of all, the atmosphere is fantastic. A nice rustic feel and look. Second is top notch service. From the moment we sat down at the bar we were taken care of be it drinks, small talk, knowledge of the beer menu and talking us through the food menu. How often have you asked a waiter's opinion and gotten wishy washy answers or the, "I don't really know" response? Not here. Our waiter took time to tell us about each item and get our input on what we were looking for. I ended up with an awesome local Gose beer and hands down the best Corn Beef Hash I've ever had! Both came highly recommended and for good reason. So third is obviously the food and beer selection. The Corn Beef Hash was plentiful with a perfect balance of flavors coming from the poached eggs and hollandaise sauce. I'll note that this was our waiter's second favorite item on the brunch menu behind the Low Country Benedict. My buddy ordered that and was equally blown away. So much so, we almost reordered each dish to swap! The beer selection was varied and I was able to find several I haven't tried before which is always a plus for me. No one does breakfast fare better than a Southern cook. Not only does Anne’s Kitchen specialize in Southern cooking, the atmosphere has the charm of a quaint Southern diner. Sometimes you just want homemade comfort food at bargain, served with a side of Southern hospitality, that’s when you go to Anne’s Kitchen. 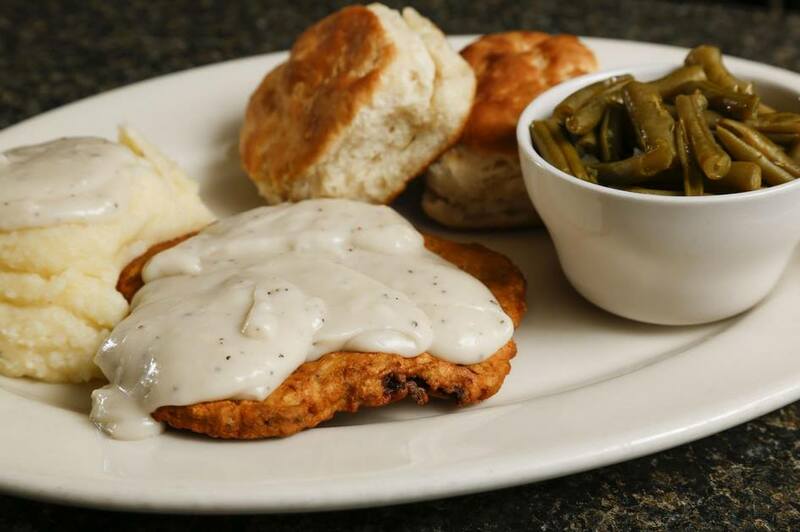 Known for their friendly staff and unassuming vibe, you can’t go wrong with their Cream Chipped Beef and Gravy, Fried Green Tomatoes, or Pecan Homemade Buttermilk Pancakes. 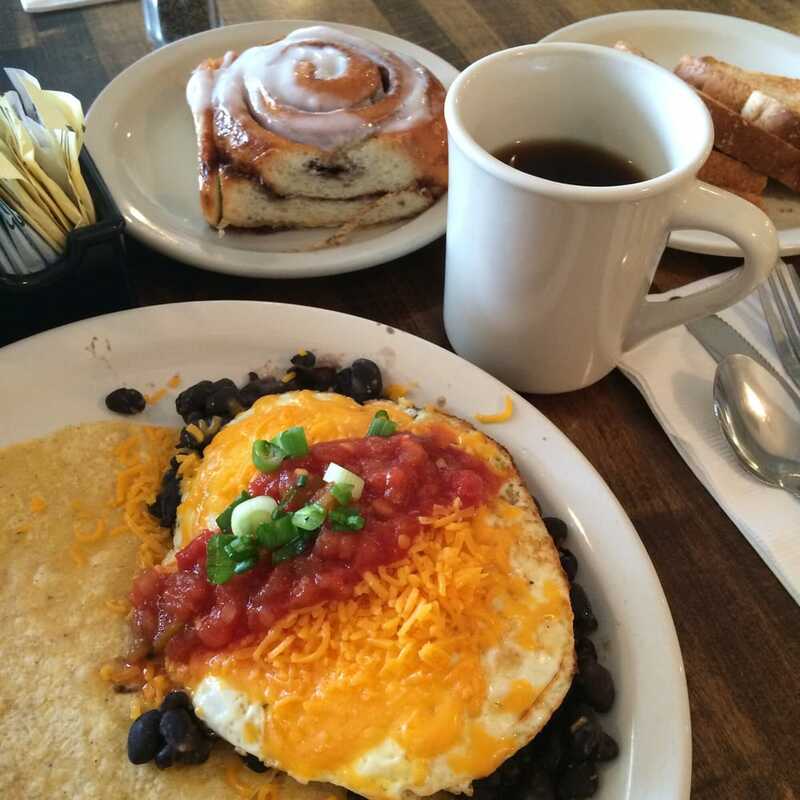 We may be cheating here, as Scotty’s Cafe serves breakfast all day every day, but that doesn’t mean it’s not a great stop for your next brunch outing. Voted the #1 cafe in Columbus, they offer breakfast, brunch, lunch, catering and a deli. 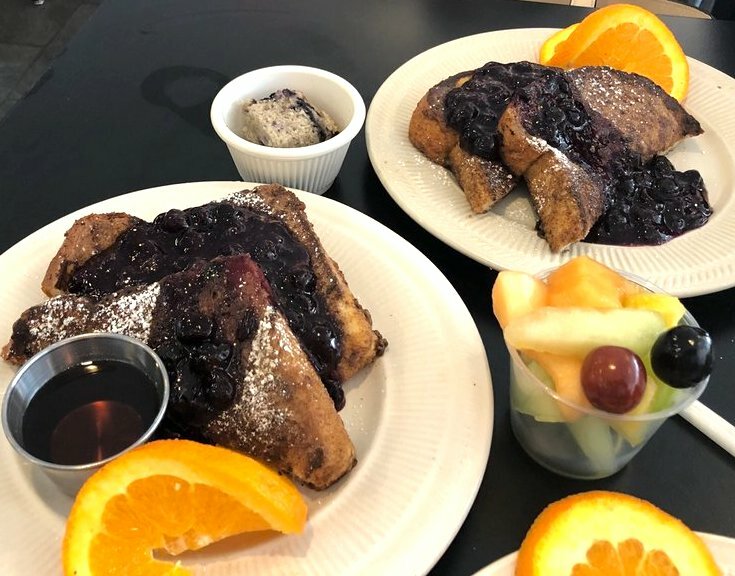 The menu is simple but satisfying with a variety of omelette options, pancakes and french toast on the breakfast menu, and a nice variety of deli melts from the grill. 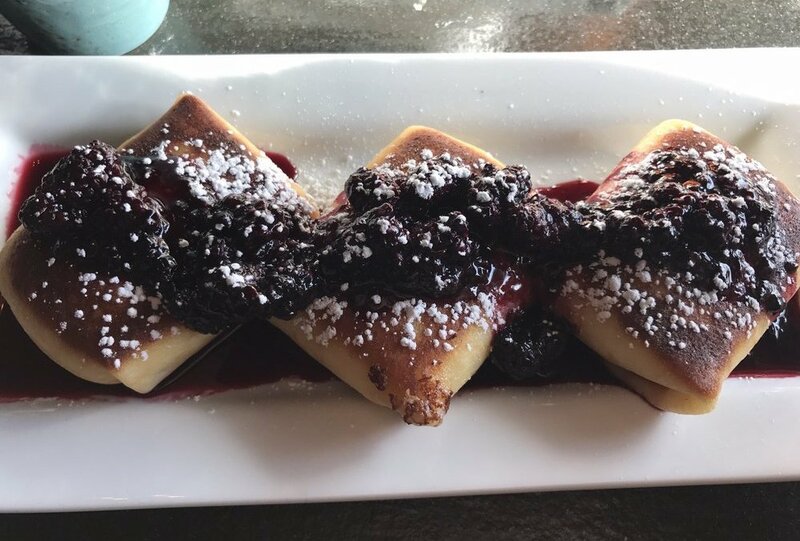 Be sure to try the blintzes, regulars and newcomers alike can’t get enough of them. Patrons rave about the service, noting Scotty tries to meet every customer through the door. You don’t need to break the bank to have a great Brunch and the line at Scotty’s is a testament to that! 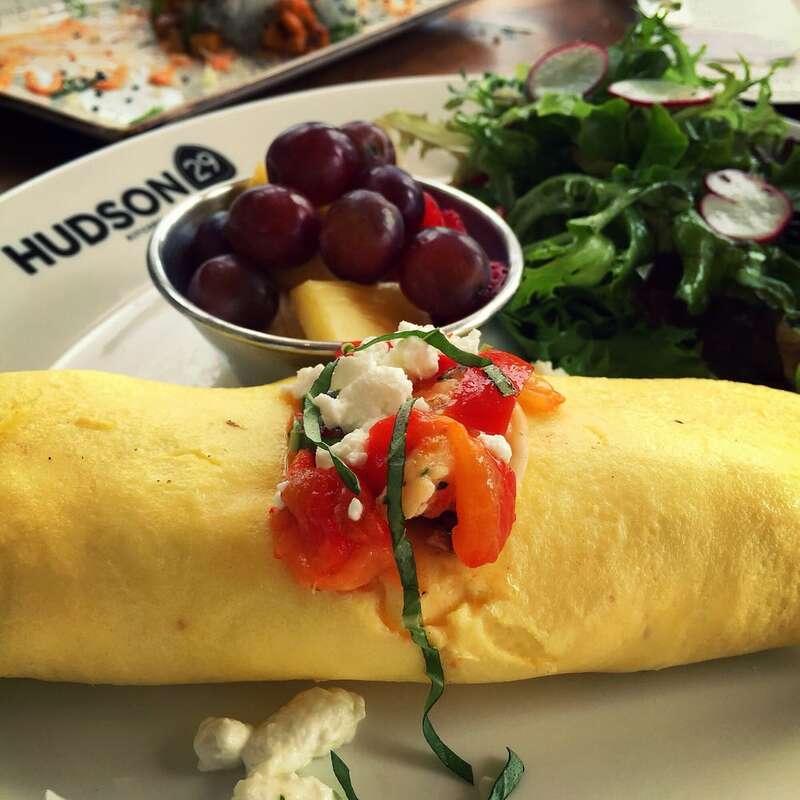 When you’re seeking an elevated brunch experience, Hudson 29 is the place for you. A part of the Cameron Mitchell Restaurant Group, with 2 locations in Upper Arlington and New Albany, most guests extol their sushi. Even if raw fish isn’t your top choice for breakfast, you still should still try the Surf and Turf roll with filet and tempura shrimp, yum! Don’t worry there are more traditional options like quiche, short rib hash, benedict with rosemary ham. Regulars will tell your your meal isn’t complete without the Cheese Stuffed House Baked Butter Rolls. When you’re seeking a refined brunch with perfectly mixed cocktails and elevated comfort food, The Whitney House will meet your needs and then some. 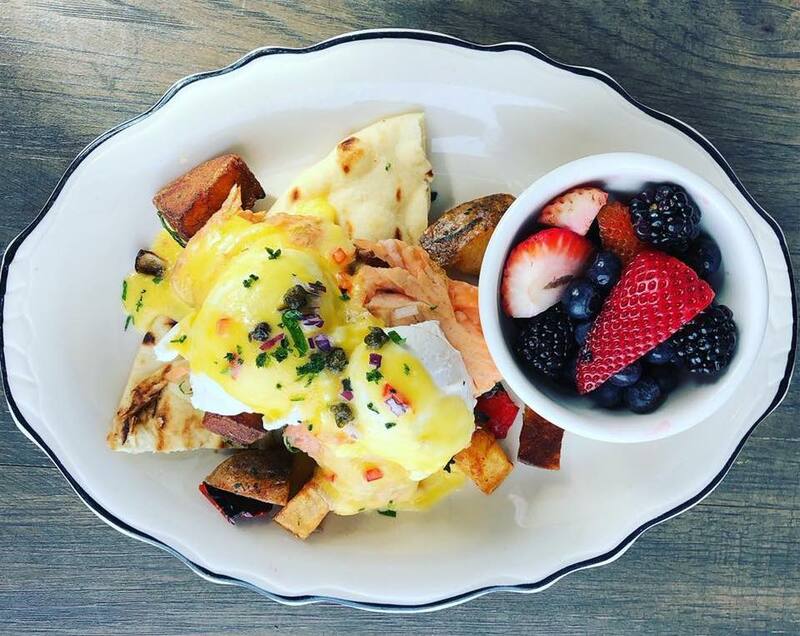 Located in Worthington, with Brunch served Saturdays and Sundays from 9am-3pm, the menu is inspired by the nostalgia of Sunday family dinners with made from scratch rustic fare. Guests rave about the Cast Iron Sticky Buns, so be sure to start your Brunch with those! While they offer a limited menu, all the ingredients are fresh and high quality. Traditional breakfast items like Steak and Eggs and “Two by Two” (2 eggs your way + sausage and toast) are featured alongside unique options like Ramen (a favorite with guests!) and Flax & Quinoa Porridge. “Friends recommended The Whitney House to us many times, so we decided to take the family for brunch to celebrate Mother's day. We made reservations, and received a timely table in their back room that was almost like an old brew pub. Awesome. Wait staff quickly visited and provided drinks, advise, and good humor. We tried their sticky buns - wow what a great fun start! MUST HAVE! Our group of 6 tried Ramen, Two by Two, Short Rib Scramble, Salads and Burgers. Everyone love it. Personally I did Short Rib Scramble and besides their Ramen, it was the hit of the table. We also enjoyed Bloody Mary and mimosa cocktails that were possibly the best ever! Great day and thank you. Brunch is a great way to celebrate a special occasion with family and friends. When you’re seeking a fancy feast, Third & Hollywood is the Brunch spot for you. The attention to quality ingredients is unmatched here, as they only used sustainable high quality meats from the finest breeds, raised humanely and without antibiotics or growth hormones. Their remaining ingredients are sourced locally and organically or artisan produced. You can review the list of ingredient sources right on their website. No visit to Third & Hollywood would be complete without an order of the Iron Skillet of Cheddar Herb Biscuits. We recommend following that with Deep Dish French Toast for the sweet tooths or Croque Madame for those seeking a savory treat. Born in the kitchen of pastry chef, Perrie Wilkof, Dough Mama originally offering their delicious baked concoctions at other local Columbus restaurants until the demand quickly outgrew her home oven. The menu is inspired by “stick-to-your-bones” Americana with a twist” while still aiming to provide delicious and innovative healthy options for variety of dietary needs. 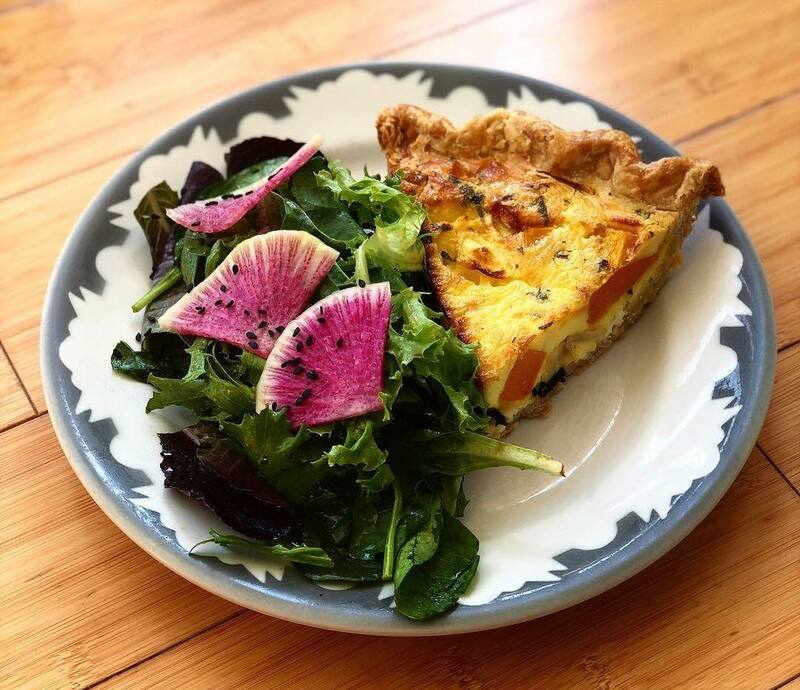 The menu is seasonal as the ingredients are locally-sourced, but you’ll likely find brunch staples with a twist like lox+avocado toast, handmade quiche, biscuits and gravy, and buckwheat Banana Pancakes. 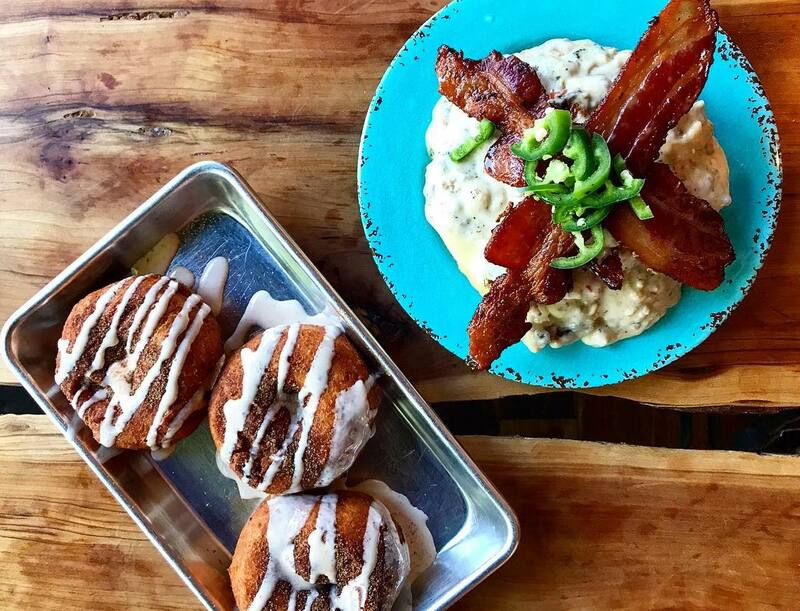 "How could you not add Dough Mama’s to you must brunch list? “Why oh WHY WHY WHYYYY don't I make a point to stop at Dough Mama more often? Like, every day. I now can say, without hesitation, that DM is a superb, quality breakfast and lunch spot that any, and EVERY, dang person should try out. Absolutely not one solitary excuse to avoid this quaint shop. End of excuses, diversions, and laziness. Get here. I've tried a few different slices of their homemade pies, and yes, they are outstanding. I thought I'd give their breakfast sandwiches a try this time. For $10 I went with the Avocado Biscuit entree: Egg, arugula, tomato, pickled onion, between a cheddar scallion biscuit; salad on the side. The biscuits are made fresh. Warm, soft. Wonderful cheese-and-onion mixup. Very fragrant AND flavorful! Their breads, as a whole, or out of this world! The pickled onions were a great component. The small side salad looked somewhat blah, when my entree was brought out. I figured it'd be an after-thought. I. Was. Wrong! They toss the fresh arugula mix in a lite soyish? concoction. It was wicked good! I'll be very tempted to get a few extra servings of that side next time I stop in. With some chicken added, it's in my top three favorite salads around town. If you haven't already stopped at Dough Mama's, you are missing out BIG TIME! A truly country-chic, old town square vibe. I've never been rushed, always received polite service, and the food is 100% down home cooking at its best! Voted “Best Breakfast in Columbus” McCarthy’s Wildflower Cafe & Catering is another unassuming casual spot on our list with undeniable down home charm and eats. All the usual suspects of brunch menu items are in play, paired with a cozy atmosphere and friendly service. Regulars recommend the Giant Belgian Waffles and their Bloody Marys with their special made-in-house mix. If you can’t decide if you’re in the mood for a rustic or urban meal, Skillet attempts to marry the two with their seasonal menu featuring farm to table classics “with an urban edge.” The flavors are complex but never complicated. While the menu changes regularly you can always find a unique variety of “Skillet Fare” served in, what else…. an iron skillet, that are praised by patrons. “Amazing breakfast! Love this place. They have an always changing menu that is sourced with local ingredients. Everything is super fresh, which is why there is always a wait and it's a bit pricey for breakfast. Everything on the menu is good here. Their breakfast potatoes, sausage, frittata, and cinnamon role are all bomb! In the mood for a German meal? Valters at The Maennerchor will have you asking for “Noch eins, bitte.” (That’s “Another please” in English). Located in the historic Columbus Maennerchor, America’s largest and longest active German singing society and social club, Valters serves German beer and food with some American twists. 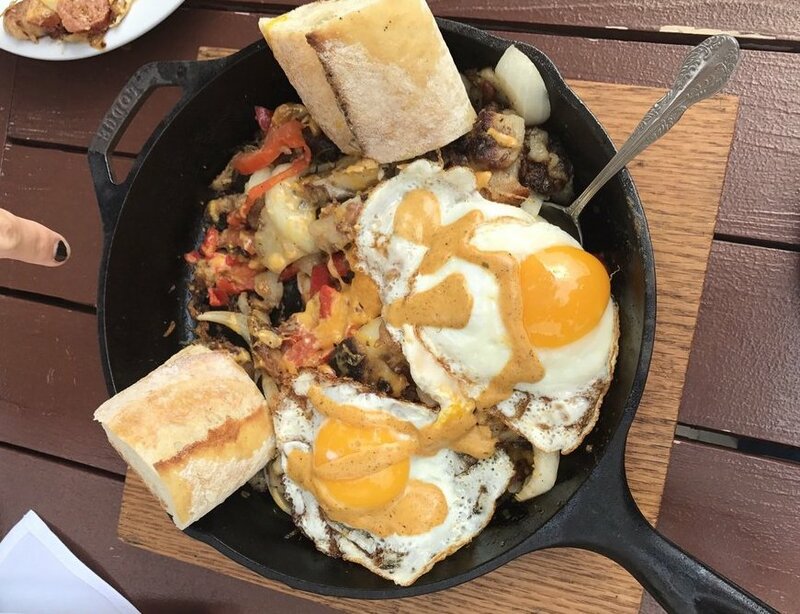 One of their most exalted dishes is the Breakfast Hangover bowl featuring bacon, bratwurst, egg, peppers, onions and cheddar cheese topped with old-fashioned spicy cream mustard and a warm baguette. Be sure to come hungry! Brunch at Lindey’s could have you wondering if you’ve been transported to New York’s Upper East. The classic setting, could be described as regal, with a traditional fine dining atmosphere. The patio is a coveted outdoor dining destination. You can’t go wrong with their classic eggs benedict dishes, fresh beignets, or fried chicken and biscuits. “Lindey's has a reputation - it's not cheap, it has a great patio for nice weather. The inside is classic - nice and regal. Definitely not "modern" by any means, nor should they be. They have their own tradition. It's one of the best happy hours - if you can get parking (fortunately, they have valet if you don't want to try to discover ). Get here early, scope a spot near the bar, enjoy the delicious, discounted happy hour special drinks and food. The staff on the patio was always amazing and accomadating. Want something delicious? Come for a meal - it's a great brunch spot, with warm beignets with a perfect compote that is just the right flavor without being sickenly sweet. The chicken sausage is flavorful. Oddfellows may look like just a kitchy dive bar, but their $10 “Classy AF” Brunch Buffet is like no other in Columbus. You can enjoy great music and Saturday morning cartoons while you nosh away in your PJs. With their one of a kind “Cereal Mimosa” if you’re seeking a fun and quirky experience, Oddfellows is the brunch spot for you. 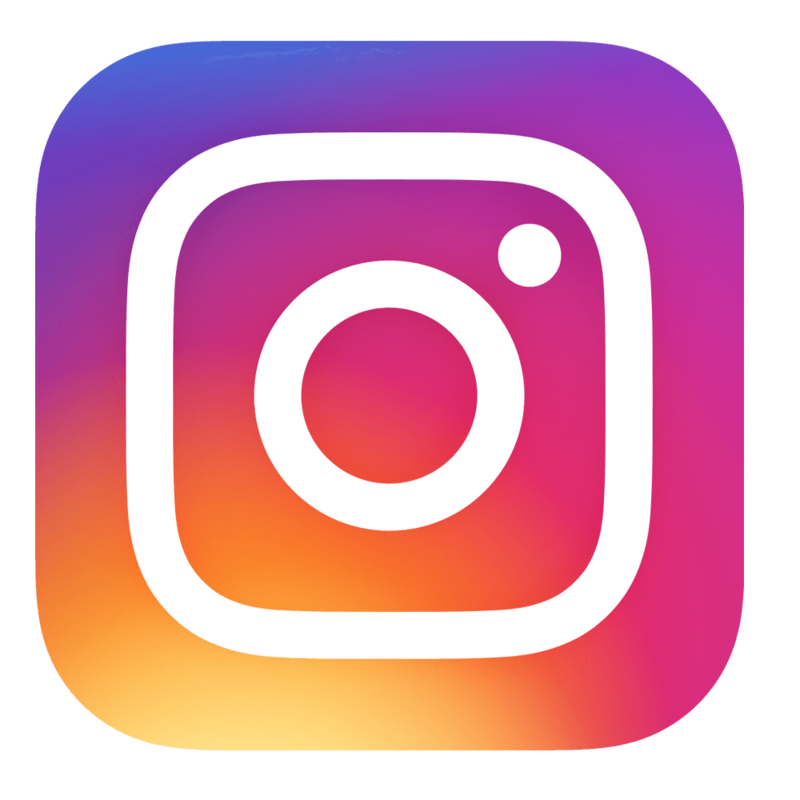 “I can’t believe this awesome place has been under our noses this whole time. When most people think about OF's they think "friday nights and drinks." Not brunch! Food: rosemary yams, berry cinnamon pancakes, kale chips, greens, quiche, toast, sausage and gravy, sausage links, bacon, spring rolls and more. Drinks: the cereal mimosas are unlike anything you’ve ever tasted. Milk with whiskey or vodka and cereal on top....YES PLEASE! If your not a big drinker there are still plenty of options for you. Service: wonderful ladies at the bar. One of them made us water without us asking her too. They were friendly and checked on us just enough. As you can see the number and variety of brunch options in Columbus can’t be beat, whatever your tastes or mood. 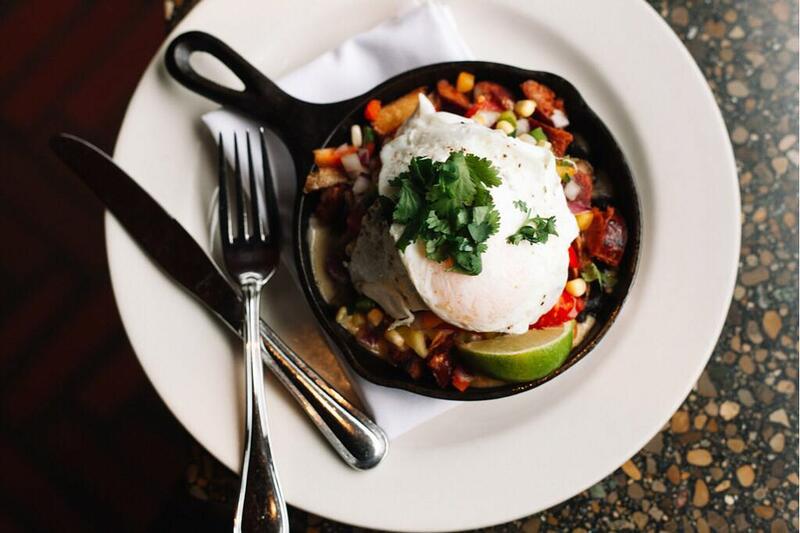 For those on the hunt for a new home in Columbus, you probably want to make sure your favorite brunch spot is nearby!